SouthDownsNPA: This cache is continually getting muggled and left strewn, open, across the floor. Time to put this out of action permanently. It's a shame because it was one of the first caches on the GeoTour. We will salvage the cache host and hopefully put it to good use somewhere else in the Park with a new cache in the future. Note the secret code in this cache and find others to earn yourself a geocoin as part of The South Downs GeoTour. Record the codes in the #SDGeoTour passport, downloadable from our website or at SDGT Visitors Welcome. A family friendly cache in a lovely location that has been lovingly restored by The South Pond Group. Located near the centre of the historic town of Midhurst in the heart of the South Downs National Park. 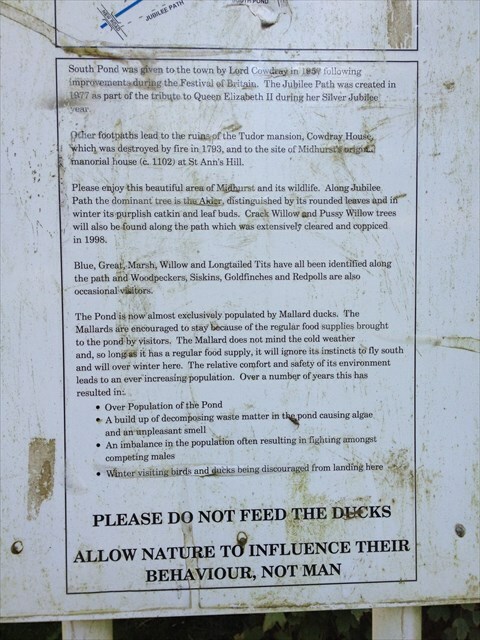 Do bring a picnic and enjoy the peace and quiet... just please don't feed the ducks. 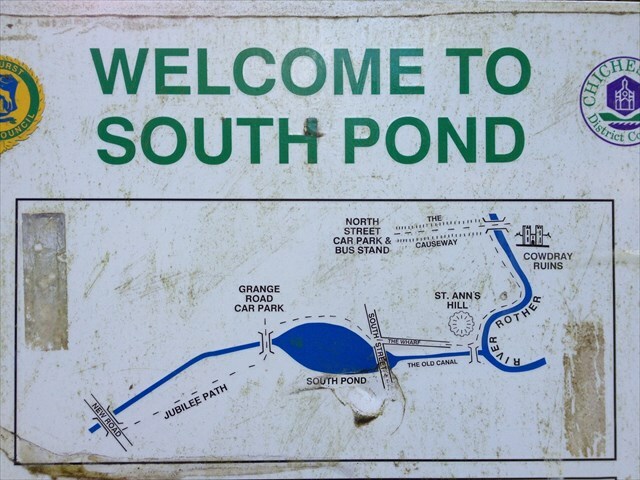 South Pond is looked after by The South Pond Group, a community project committed to the improvement of South Pond and Jubilee Path. They joined together in the summer of 2012 because it was clear that the wildlife around the pond was seriously out of balance. With their support and hard work the area is developing into a thriving wildlife corridor that supports a healthy and varied range of plant and animal life, making the whole area an attractive and interesting place to visit and enjoy, and a source of pride for the people of Midhurst. 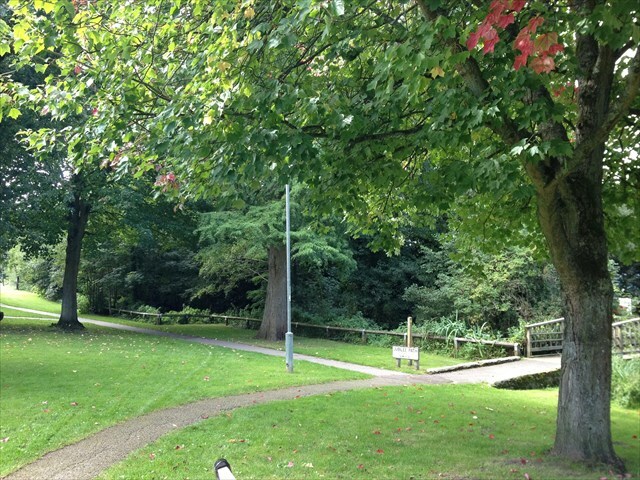 It's a lovely place to visit for a little bit of peace and quiet, bring a picnic and have a rest of one of the benches. Just please don't feed the ducks! Feeding the ducks (and other waterfowl) is something that everyone loves to do, but unfortunately it causes problems both for the birds and their environment. We may feel that we are helping them, and in fact we are harming them. 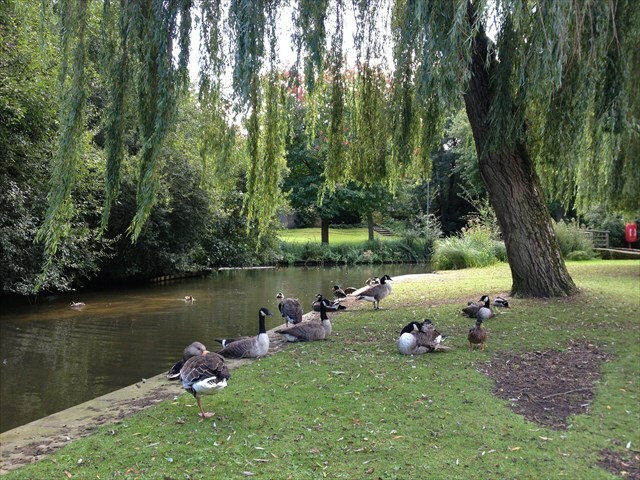 There are too many ducks for this area which causes the ducks to fight, their waste creates an imbalance in the pond and kills other plants and creatures, left over bread attracts rats and most of all bread is not a good food for the birds. A lot of work has taken place and the area is recovering well. Your help is appreciated and you are welcome to get involved in the South Pond Group's activities. This is a family friendly cache with easy access and free car parking nearby. The cache was created in partnership with BBC Sussex and South Downs National Park Authority as part of the BBC Summer of Wildlife 2013, to celebrate 30 years of BBC Sussex broadcasting across the county of Sussex and encourage more people to discover the wonderful landscapes and wildlife on their doorstep. The cache includes three sets of goodies from both organisations for the first three finders. The site for this cache was chosen, as it is in the South Downs National Park – an area of outstanding beauty and history that people are encouraged to explore. Although the South Downs most popular locations are heavily visited, many people greatly value the sense of tranquillity and unspoilt places which give them a feeling of peace and space. In some areas the landscape seems to possess a timeless quality, largely lacking intrusive development and retaining areas of dark night skies. Feel free to upload your photos of the local flora, fauna, and views near this cache or anywhere along your walks across the South Downs. Catch the bus from Chichester, Haslemere and Petersfield to explore this area. You can cycle to this geocache, access to the area is via the road network. Please walk the last little section beside the pond. Many thanks to Chichester District Council for permission to place this cache; to The South Pond Group who will keep an eye on it and to the SDNPA Rangers who helped to put the cache in the best place to preserve the area.